The Major League Lacrosse draft takes place this Sunday, May 28 in Foxboro, Mass. in conjunction with the NCAA championship tournament. Ahead of the draft, our Bailey Kennedy takes a look at some of the top prospects and where their fates might fall this weekend. I don’t think anyone is sure who the Launch will take #1. It’s possible the organization is still waiting to make up its mind on who they should take, and I don’t think that choice will be made up until the end of the tournament. In the end, I think they choose Cannizzaro over Matt Rambo and Dylan Molloy. Cannizzaro, like the other two, is a stud, and will all make a huge impact in the MLL. Before any Boston fans come after me, Perkovic would be a great fit with this Cannons roster. The Cannons lost Brent Adams, who was a big part of their midfield scoring last season, to Denver. Adding Perkovic into the mix fills that hole, and he is an excellent player. Many people may say Perk hasn’t been the same kind of player since his outburst against Denver in the 2015 NCAA Final Four game, and I would agree they are right but Perkovic in my mind will be a beast in the MLL. He has the size at 6’4, 225 lbs. to really go out and compete with the strongest guys in the league. Give him a year to really get healthy because he hasn’t been 100% this season. You can’t forget the range he has and 2pt shots could help Boston even more scoring the ball, but let’s not forget he also will step into the league with one of the fastest shots in the MLL at 111 mph. The Charlotte Hounds should be jumping for joy if this in fact happens. Getting Dylan Molloy, the 2016 Tewaaraton Award winner, would really change a lot for the Hounds. The Hounds, currently 2-4 on the year, really seem to be struggling at times offensively and they need a guy who can put the ball in the back of the net. And that is what Molloy has done in his career at Brown, scoring 197 career goals. At 220 lbs. Molloy looks more physically intimidating on the field so he will bully his defenders to get to the net. Add Molloy to the Hounds’ solid duo of Joey Sankey and 2nd year player Ryan Brown, who each possess a cannon, the Hounds have a sneaky trio at attack and a scary group of young talented guys. The Launch are once again on the clock and I think with this pick, they have to do look to defense, specifically long-stick middies, and that’s why I have them taking Larken Kemp. Kemp is not just a great defender; he is a threat offensively too. In drafting Kemp the Launch get someone who can help them score points off the face-off from ground balls, and if he causes a turnover in transition he can push it and has the ability to handle the ball well. At times Brown would leave Kemp on the field as a weapon on offense with his long-pole. That’s insane, looking at his career numbers at Brown he produced 55 points as a pole with 26 goals and 29 assists. I am sure Kemp will somehow be able to not not only help the Launch defensively but also offensively as well. Now this is really a dream come true for the Bayhawks. Rambo has potential to be the #1 pick so falling to #5 would probably would fire him up, but the Bayhawks would be a great fit for him. Rambo stays in the Baltimore area and would continue to be a Maryland legend wearing the Bayhawks uniform. Rambo will help right away on offense and the coaching staff should put their trust in him. Really I could see Rambo playing midfield or attack for the Bayhawks but I think he would be best suited playing on the midfield line alongside Myles Jones: that duo at midfield? Man, that’s a scary 1-2 combo right there. A name that many people at the beginning of the year would have as a very late pick in this draft, Mariano had a fantastic senior season at Syracuse and put up solid numbers that helped his draft stock fly all the way up to him landing at pick #6 for him to wear a Blaze uniform. The Blaze are pretty solid at attack having a lot of depth with Chris Bocklet, James Pannell and Dylan Donahue, not to mention Kevin Rice who only played the Blaze’s first game before suffering an injury. The Blaze haven’t even had Randy Staats or Mark Matthews play a game yet either. So I think it’s smart for the Blaze go midfield here. It feels like the Blaze are missing that guy who can really control the offense and dodge hard down the alley and score and Mariano gives them a great scoring threat from midfield. 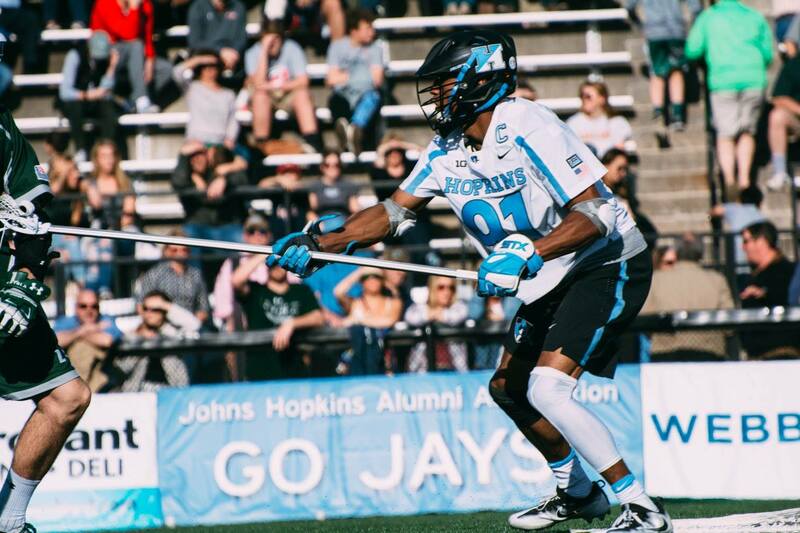 Nick Fields had a big year for Johns Hopkins. He helped anchor a young defense again for the second straight year. Watching Fields this year I saw a talented pole who could really step into the next level and play well too. The Machine have a great offense and a pretty solid defense, toss in Fields and the Machine could be taking another shot at winning the title come the end of the year. The Launch’s first round embarrassment of riches will end with Sergio Salcido, their third pick, and a Florida native from Winter Park. Salcido, just like his teammate Mariano, had his draft stock sky rocket thanks to the later draft date. The pick here makes sense because Salcido is a local kid who made it big at Syracuse and now he can come back home and light it up for the Launch. He also gives the Launch a great feeding midfielder, someone who loves finding cutting attackmen or midfielders in front of the net. The Outlaws have yet to lose a game this season, and with an amazing goalie in Jack Kelly you have to wonder what is stopping the Outlaws from just winning every year for the foreseeable future? Well, it is the fact that their defense is getting old. The Outlaws lost Mike Skudin and Max Schmidt but they have been able to replace them nicely with solid filler guys. Epple is a great defensemen and could be a great part of the Outlaws future success on defense. Epple was a great lockdown defender for the Irish and could easily become that for the Outlaws. Zed Williams is a talented player that the Launch could put wherever they need him. Williams played attack this year for Virginia but in the previous three years he was a middie so the Launch can really choose what position they want him to play. I foresee Williams coming out of the box giving the Launch a great player who can score and feed well from the midfield position. Who?? That is definitely what most people are thinking with my choice of Brendan Hynes from Richmond going so high but trust me, this kid can play. Hynes, a long-stick midfielder, was outstanding this year, scooping up 74 ground balls and really helping the wings for the Spiders. Hynes anchored their outstanding defense this year and was a key part in their success, leading the country in caused turnovers per game averaging 3.13. Someone who can be that great at creating havoc on defense surely will be able to make a name for himself in the league. With this pick the Machine chase someone who is a seriously imposing threat. Send Jack Adams out of the box as a defensive midfielder and he is one tough guy who is really great at forcing any player he is covering to do what he wants and not what they’re trying to do. Adams makes this Machine defense even stronger and gives them a great SSDM they can use. One of the best face-off guys out there in college lacrosse not named Trevor Baptiste. Williams had a down year compared to previous Williams’ standards, and it was mostly due to constant injuries throughout the year. 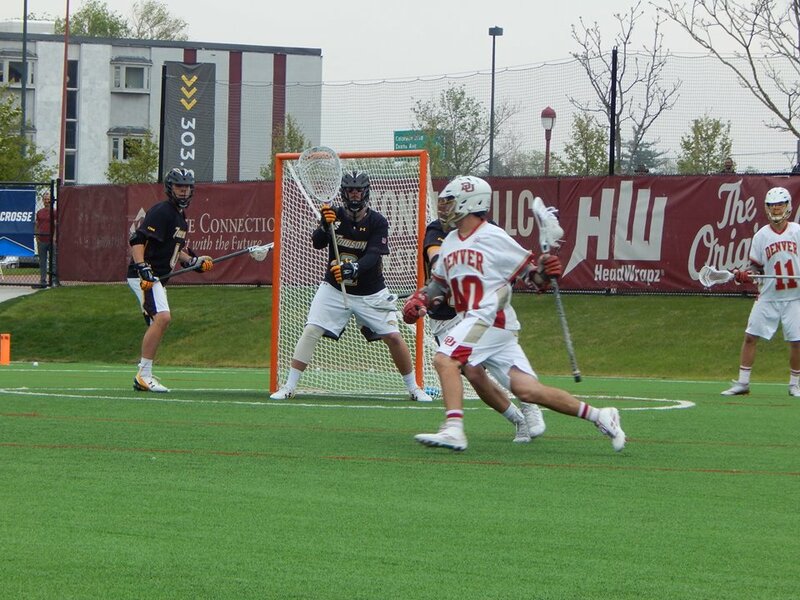 Although the Rattlers do have a solid face-off guy in Drew Simoneau, Ben Williams is the real deal, and I think would be a fantastic fit in Rochester staying up in the Syracuse area. Zach Currier going to the Lizards could be a blessing in disguise. Currier gives the Lizards a great midfielder who can both score and feed the ball from really anywhere. The best part for the Lizards is that he isn’t a huge name in the game of lacrosse. Not that he won’t eventually become one, but the Lizards roster is already filled up with players that have been superstars for other MLL teams for years. I think Currier would be the real IT factor for the Lizards. He would be someone that teams don’t expect to kill them but would in fact kill them because of the lack of pressure they put on him. 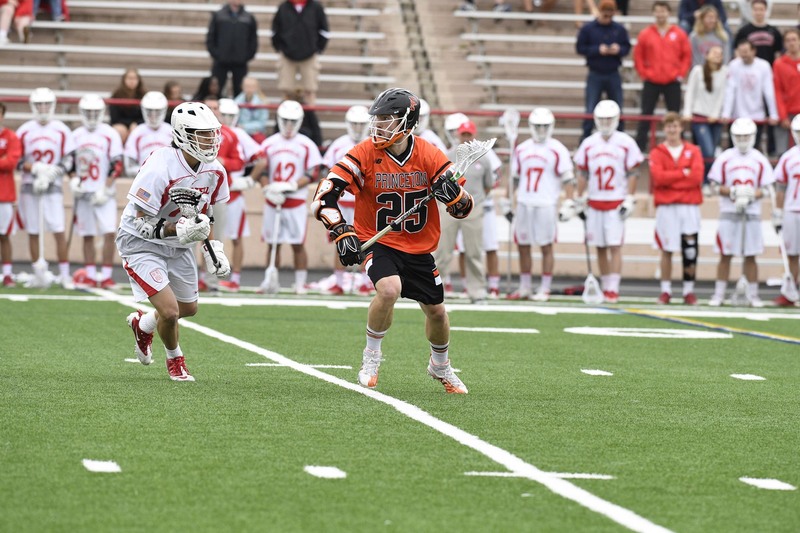 Once Greg Gurenlian retires, Currier would be a pretty solid temporary replacement, as he won 56.7% of his face-offs at Princeton – not to mention his crazy ground ball total. Also helping out is the Curtis Dickson factor – he and Currier are teammates in Peterborough so the two could easily travel together. This pick might make Brendan Fowler extremely happy. Allen provides the Hounds with a great short-stick defenseman who can but what Allen is really known for is his great ability to help on the wings for face-offs by scooping up ground balls. I think the pick would help Fowler’s face-off numbers go up as well as help the Hounds defense get better overall. Once again the Bayhawks select a Maryland Terp with their second pick of the draft. Muller has been a great pole for the Terps all year and the Bayhawks adding him would give them a solid addition at the close defense position. The Bayhawks’ defensive unit is a hurtin’ one so he also fills in any potential future injuries for them. When in doubt, draft a hometown player. So far this year the Outlaws have dressed seven different poles. Adding Burgdorf to their first round choice in in Garrett Epple, the Outlaws defense gets even stronger. The Outlaws will stay local for consecutive picks, taking local middie Tyler Pace. Pace has been hit by the injury bug this year and that explains why his point total is so low. Don’t expect the Outlaws to be scared away by that – coach O’Hara has seen him play multiple times this season alone and isn’t afraid to take him even if this is a little early. But the Outlaws do love drafting local boys and if they select Pace and Burgdorf, they would be joining former Pios Wes Berg and Eric Law. ← MLL: Upsets, comebacks and overtime – oh my!